I’m never going camping in a tent again – not after a long weekend away in a state of the art, luxury VW T6 California Ocean campervan. This baby’s got everything you and three others need to be pretty much self-contained, it’s fabulous to drive (it doesn’t feel at all like a van) and when you park up you can be cooking up dinner, knocking back wine and/or be cosy in bed within minutes. And of course, you’ve got complete flexibility about where you go and when. When I returned the van to Stu at Sun Kissed Campers in Bath, he almost had to prise my hands off the steering wheel to get me out (I’m not joking). Rewind to three days earlier, I was a bit nervous getting behind the wheel for the first time. I needn’t have been. I used to drive a Chrysler Grand Voyager and it’s about the same size, though you’d never believe it once you were inside; as one of the Muddies said, ‘it’s a tardis!’ I loved the fact that you’re sitting very high up – you really do feel like the King of the Road – and there was masses of room in the back. 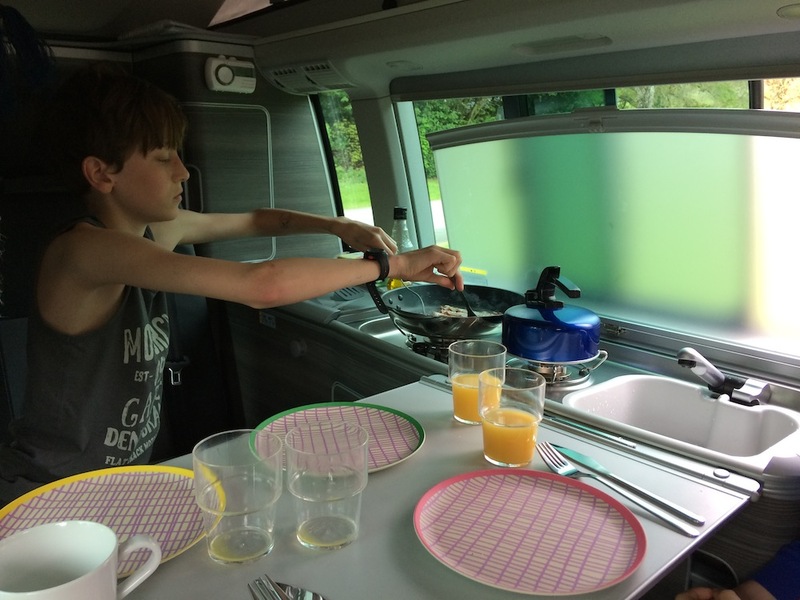 Back at the end of May Sue Tucker, editor of Muddy Stilettos Somerset took a VW T6 California Ocean out on hire with her teenage triplets. Click here to read the whole review.